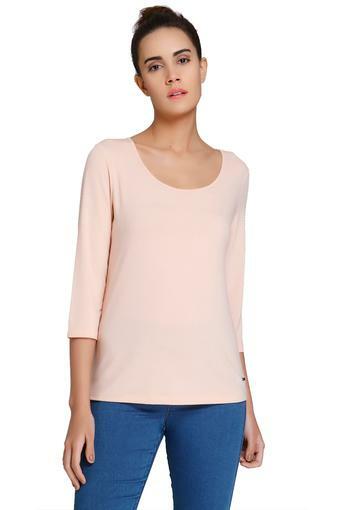 Flaunt your style with this top from Vero Moda. Tailored in good quality fabric, this top is light in weight and will keep you at ease all day long. 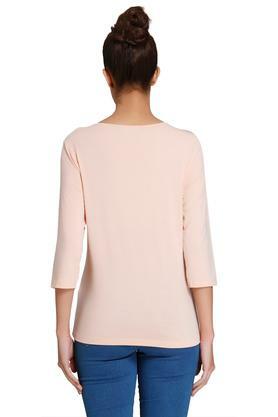 Featuring a round neck, three quarter sleeves and solid pattern, this top holds a superlative attractiveness.